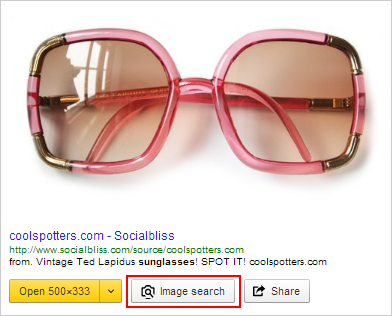 Image search allows you to find similar images most of the time. This might be useful if, for example, you are searching for a particular product based on visual features. To find more images similar to the selected image, click Other sizes and similar to the right of the image. To see additional similar images, click More similar images on the search results page in the Similar images block.